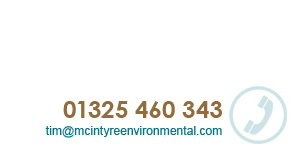 McIntyre Environmental (hereinafter called "the company") will take all reasonable commercial steps to protect your privacy. While the company may provide aggregate statistics to others, these will contain no information to identify you personally. Any information that you have provided to the company that might identify you personally will not be used in any way that you have not given permission for.